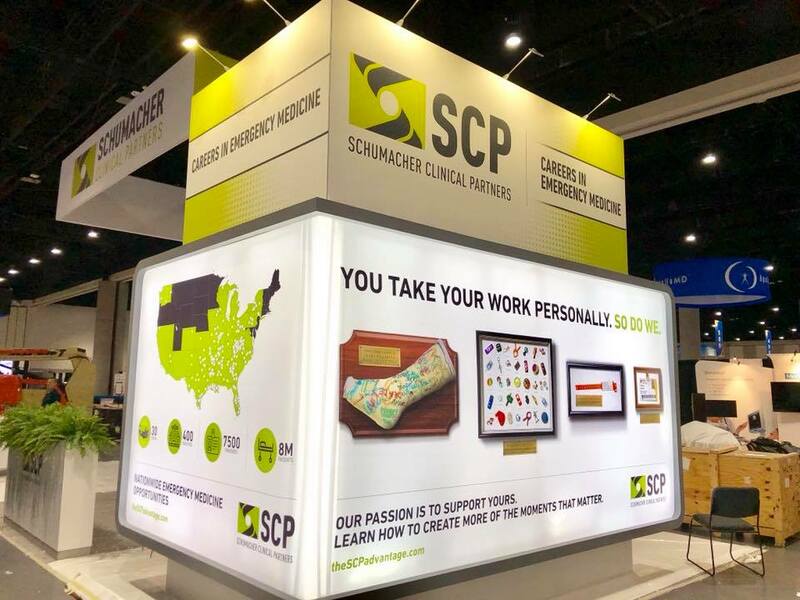 Whether you are new to the healthcare industry or looking to lend your skills to a quickly growing field, there are many good reasons you should consider working for Schumacher Clinical Partners (SCP). Not only is the company physician-led and managed, but it is also one of the largest emergency and hospital medicine groups in the nation. Employing a diverse workforce is a priority at SCP. Kindrick Benoit, a human resources business partner, specializes in helping our employees recognize diversity initiatives. He keeps the diversity conversation going and works with our Learning and Development, Marketing & Communications, Compliance, and other departments to develop and deploy diversity training throughout the organization. The culture of SCP pervades every aspect of our company. It's a mix of professional leadership, complete commitment to patient care and satisfaction, dignity and respect for all, cost efficiency, and use of innovative technology. "The culture at Schumacher Clinical Partners isn't something that can be easily explained. But when you walk down the halls, it's palpable. It's hard to put into words, but you feel it when you're here. I've felt it for many years — and it's stronger today than when I started." Our learning and development department provides resources such as manager onboarding and a new leader series — and each employee gets a subscription to a professional development library, covering everything from Microsoft Excel to Financial Management Skills. Some industry practitioners may say work-life balance doesn’t exist in the corporate world of healthcare. That’s not the case at SCP: Our company fosters a family-friendly work environment. We purposely focus our benefits around families (including growing families) and offer a variety of insurance plans with multiple options designed to fit each family’s unique needs. Putting patients first — treating them with dignity and respect — is our mission. Advocating for better patient care has been our passion since the beginning. After 20 years of operating independently, in 2015 we merged with like-minded physician management group Hospital Physician Partners. The move grew SCP’s national reach, adding 2,000 providers and multiple states to the roster. 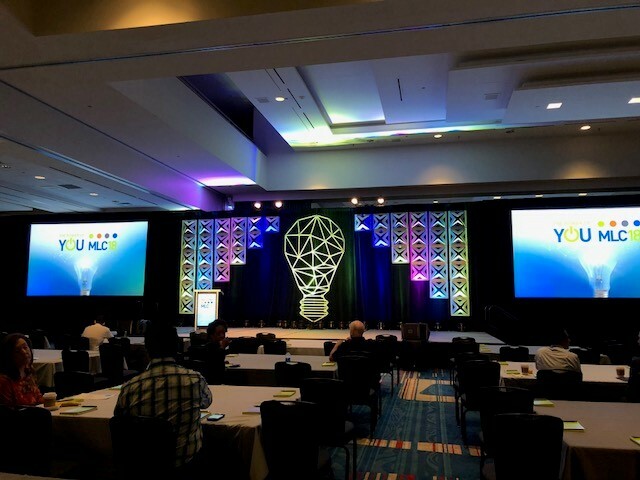 In the following year, we also joined forces with ECI Healthcare Partners, a hospital and physician management group out of Michigan. With a new portfolio of 8 million patients, 7,200 providers, 32 states, and 450 hospital facilities, the powerful trio set out to deliver better hospital and physician services on a national level. Today, SCP is one of the largest and fastest-growing emergency and hospital medicine groups in the nation. Giving back to the community is also a tenet we value highly. Here are just a few of the charitable works in which our company is involved. American Heart Association nationwide — $10k contributor this year alone. United Way nationwide — corporate campaign participant and $111,000 contributor in 2016. Other examples include local Boys & Girls Clubs, homeless shelters, food bank food drives, and 5K walks to support a variety of causes. Take one look at our Facebook page, Twitter feed, or health care insights blog, and you quickly see that we maintain a keen focus on staying relevant in an ever-changing health care environment. And, we take all feedback – positive and constructive – very seriously. We are extremely responsive on all platforms and encourage commentary to provide the best outreach possible to all of our constituents. As one of the nation’s largest emergency and hospital medicine groups, we can offer wide-ranging benefits and competitive salary packages to each employee. Credit union affiliation, and much more. One of the signs of a healthy workplace is low turnover rates. In that respect, Schumacher Clinical Partners is extremely healthy! Many of our employees have been with the company for 10, 15, 20 years, or more. 10. No Room for Boredom! Ours is a fast-paced environment with plenty to keep us busy. A deep commitment to improving patient care leaves little time for boredom to set in. Philanthropic. Work with a team that serves and gives back to our communities. If you’re looking to join a team of like-minded professionals dedicated to improving the healthcare industry, consider a career with SCP. As part of our team, you get to make a difference in the lives of more than eight million patients each year, with a company focused on finding a better way to deliver health care. Our ultimate goal? Improve treatment of the most important person in health care: the patient. Take your career to the next level with SCP. We have positions available in both the clinical and corporate sectors. Learn more by visiting the corresponding links. PS: If you're still not convinced, listen to what some of our doctors have to say in this video. 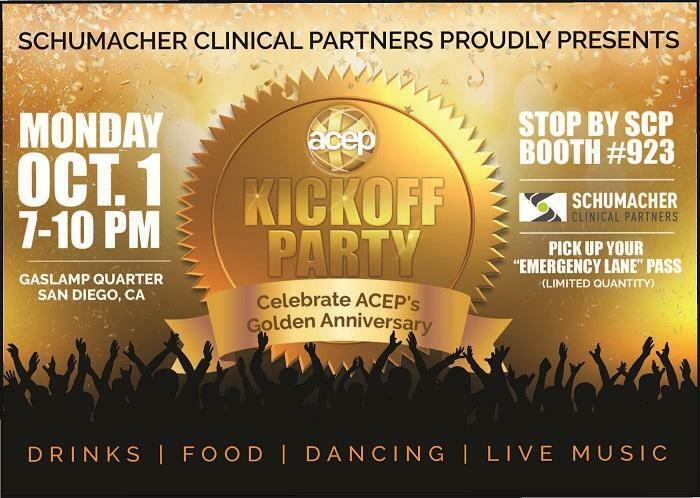 SCP had a golden time helping ACEP celebrate 50 years of emergency medicine at the 2018 ACEP Scientific Assembly in San Diego, October 1-4. SCP is heading to San Diego for the 2018 ACEP Scientific Assembly, October 1-4. This year is extra special in that it marks ACEP’s 50th anniversary.